Famous for Formula 3 but now F1 has showcased in Macau, it has to be the ultimate team work experience. Time is lost and gained in the speed of the race and in the heat of the pit stop. 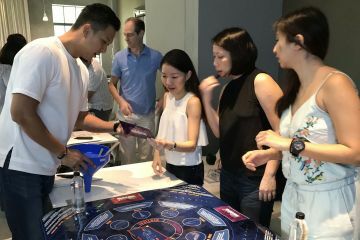 Legal Firm Clifford Chance recently put their team skills to the test with Flat Out Formula One in Macau. 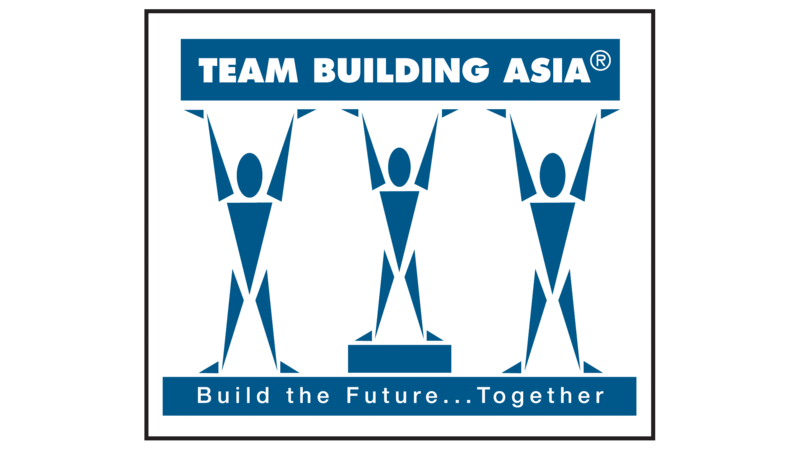 The team building began with each team receiving a briefing booklet with plans on how to mark, label and cut various parts of their Formula One car, from flat cardboard. Teams excitedly got working on building parts such as the Cockpit, Engine Box, left and right Panel and Sills, the bonnet, nose cone and front and rear aerofoils. 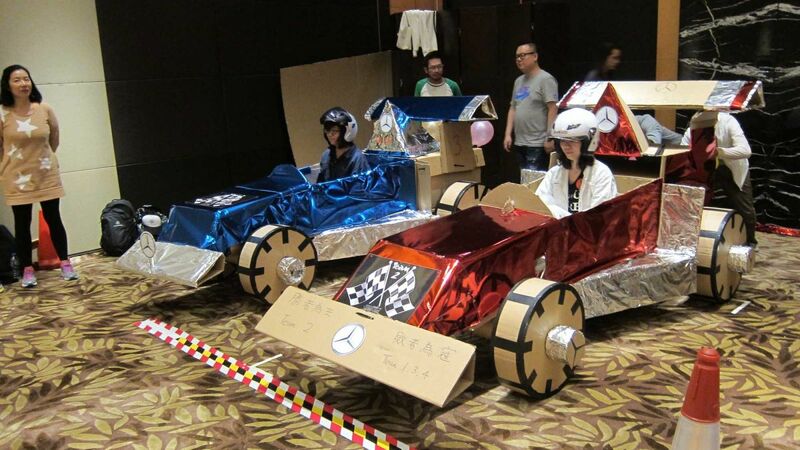 Once the parts had been constructed, teams attached the cardboard wheels to the axles on the main body chassis. Then the steering parts attached to the front axles were tested and the car required just one more element – pimping! 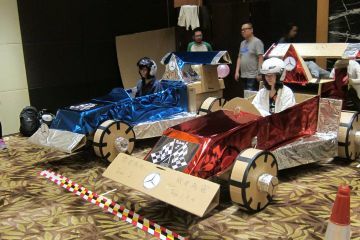 Various racing paraphernalia along with balloons and Clifford Chance logos were used to decorate each of the teams’ cars. This created a sense of belonging, team spirit and a sense of accomplishment to ensure teams were suitably fired up for the upcoming races.